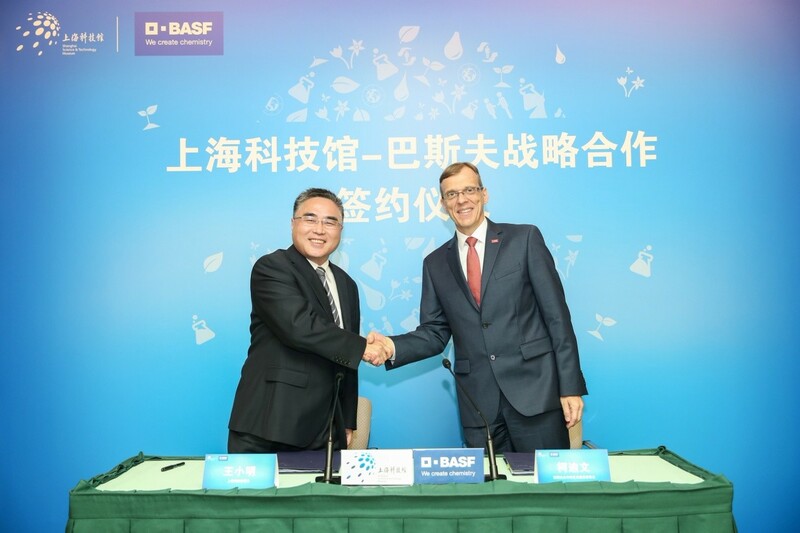 On August 8, 2018, Shanghai Science and Technology Museum signed a Letter of Intent for Strategic Cooperation Framework with BASF (China) Co., Ltd. to further cooperation between the museum and enterprises and to strive for deeper integration of the resources and advantages of both sides. The BASF Little Chemist co-sponsored by SSTM and BASF has been widely recognized by all sectors of society since being launched in 2005. Now as the SSTM is undergoing renovation, BASF will make its contribution to the upgrade of the material exhibition area of the museum by leveraging on its experience regarding science education in chemistry, investing human resources, money and related resources, donating related exhibits and assigning professional personnel to regularly maintain and update the exhibits.